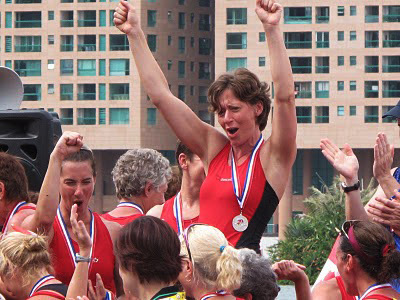 How Do Gold Medal Olympians Stay in Shape as they Get Older? Persistence, determination, and perspective are just a few of the qualities that describe the remarkable character of Olympic Gold Medalist Dan Jansen. A speed skater, he competed for the United States at four Winter Olympic Games: in 1984, 1988, 1992, and 1994, taking home the Gold medal in 1994 and setting a new world record in the 1000 meter event in the process. Dan is an eight-time World record holder in the 500 meter and 1000 meter; a seven-time Overall World Cup Champion; a two-time World Sprint Champion; and has won 20 World Championship medals, 46 World Cup victories, and more than 75 World Cup medals. He was presented the James E. Sullivan award in 1995 as outstanding amateur athlete in the United States. Watch Dan's story from tragedy to triumph! In memory of his sister, Jane, who died of leukemia during the 1988 Winter Olympics, Dan established the Dan Jansen Foundation in 1994 to benefit youth sports, educational programs, and the victims and families affected by leukemia. 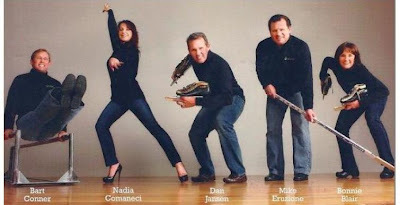 After retiring from competitive speed skating, Dan was inducted into the U.S. Olympic Hall of Fame in 2004 and was the skating coach for the NHL Chicago Blackhawks from 2005 to 2007. He is an exceptional motivational speaker and experienced television broadcaster, acting as a speed skating commentator at the last four Winter Olympic Games and an announcer for the 2006 Winter Olympics. This accomplished athlete and competitor has continued to keep health and fitness at the forefront of his life. So when his friend and fellow Olympic Gold Medal champion, Mike Eruzione, called and told him about Qivana, Dan’s initial interest turned into a solid commitment. Dan was joined by two fellow Gold Medal Olympians, Bonnie Blair and Mike Eruzione, in his decision to become an IBO. The three of them all realized that their work with Qivana as Olympic athletes could be very beneficial and enjoyable in a variety of ways. Together, they formed the Olympic Gold Medal Champions team at Qivana. When Dan is talking to others about Qivana, he says he is proud to tell them that Qivana has the best doctors in this field in the world. Dan knows by experience that if Qivana’s products can help him, they will help others. “The members of Qivana's Gold Medal Champions Team have all competed at high levels, we know our bodies well, and Qivana’s products are still helping us. As we age, I know we’re all focused on staying healthy, and I believe these products can help us continue to feel younger as we get older,” says Dan. His personal experience with the products has helped him to feel an increased sense of alertness and wellbeing. Dan loves to surround himself with positive people, so it’s no surprise to discover that the aspect he loves most about his Qivana business is the people. Unwilling to settle for anything less than the best, Dan’s vision for the future as part of the Gold Medal Champions team is brighter than ever. "Using the Metabolic shakes from Qivana helps me control my weight before a fight." Designed around over 30 years of research by the countries leading Metabolism and Protein, research scientist.. Dr. Donald K. Layman, the Metaboliq System is the only protein shake system clinically proven to correct the metabolism, build muscle AND burn fat. To download the research and science behind it... click here. 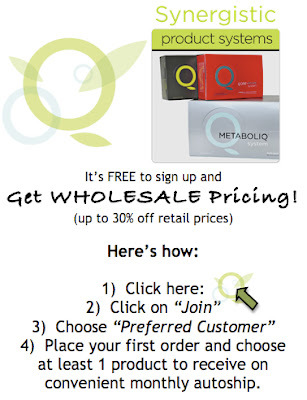 "I have been using The Qivana Qore System since 2009 and have been following the Metaboliq life style for quite a while now. I would strongly suggest for anyone in the entertainment industry to do what you can to maintain your youth as long as possible. 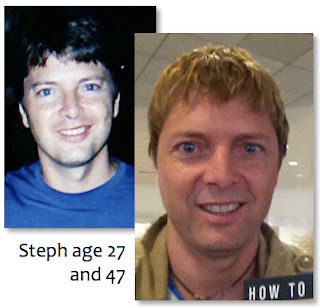 So far it paid off for me, I got to play a 32 year old in the movie "Marriage Material" last year. 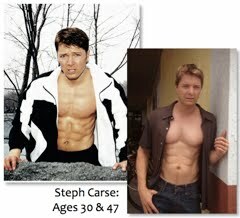 Lol"
Steph Carse has been a professional singer and entertainer all of his life. In addition, part of reaching his goals means staying focused on living, and eating, in a healthy, balanced way. 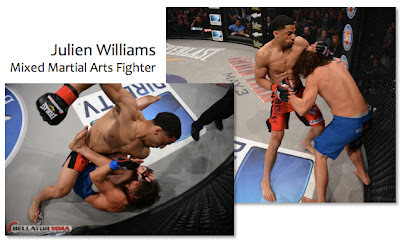 Martial Arts, natural health, and Qivana, are all part of that. You can see the results. Why do Award Winning Anti-Aging Doctors Recommend Qivana and Metaboliq? Award winning Las Vegas cosmetic surgeon to conduct lecture on age-reversal product breakthroughs. LAS VEGAS -- Dr. Edward Zimmerman, Medical Director of Las Vegas Laser and Lipo, known internationally for his state-of-the-art cosmetic surgery procedures, received the Award for Excellence in Academic Education from the American Academy of Cosmetic Surgery in 2005 and served as the President of the American Board of Laser Surgery since 2007. His next initiative is the fusion of eastern and western medicine providing patients with even better results. 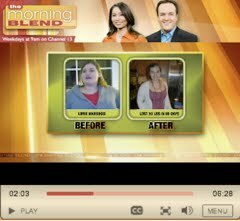 During a recent interview on ABC “Vegas Morning Blend," Dr. Zimmerman described the advantages of combining natural products with traditional medicine to enhance optimal aging. 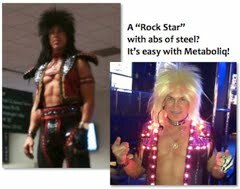 “The Metaboliq® Burn System that we incorporate was developed by Dr. Donald Layman, an award winning research scientist specializing in the metabolism. 94 published peer-reviewed papers back it and it is the world's first weight loss system specifically designed to correct your rate of metabolism – the fundamental cause of weight gain. Patients are having phenomenal results because the program targets the root-cause of weight gain – the metabolism,” said Zimmerman. Dr. Zimmerman will also discuss the Metaboliq®, Prime, and Qore Systems employed at Las Vegas Laser & Lipo. 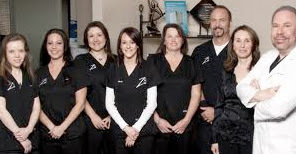 His state licensed aesthetic center is nationally accredited and is frequently designated as one of the top cosmetic surgery facilities in Las Vegas. How do you Compete, and WIN, against Competition 30 Years Younger? "As a traveling corporate Speaker/ emcee and now a Las Vegas entertainer (in a very competitive industry) it's more important then ever to maintain proper health. I simply don't have time to get sick and youthful looks are essential as I'm competing for business against people 30 years younger then myself. My business requires me to project "rock concert energy" on and off the stage. The Qivana systems do just that in a safe and natural way. The Qore System makes it easy to maintain a strong immune system and the Metaboliq System tones my body and makes my abs "pop" with less gym time. Metaboliq is all about proper nutrition on and off the Rock." What Do "Everyday Athletes" do to Make Reaching Goals Easier? "As an athlete and therapist i've always liked to push the limit and go beyond the expected results. I find that Qivana is the perfect vehicle for me to access different horizons, and challenges, without having to work so hard." Michael Cochran is a Music Producer who has always enjoyed working out, but wasn't happy with the results he was achieving until he learned the truth about protein... and starting using the Metaboliq system designed by Dr. Donald Layman. 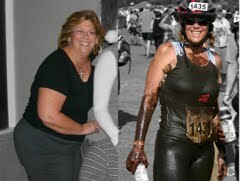 "I am a 47 year old certified personal trainer with a CrossFit certification. I have been all about health and fitness for as long as I can remember. It is a lifestyle for me. Qivana is the best product I have ever used. I recommend it to all my clients. Set realistic obtainable goals and beat them. The rewards are astronomical." Good health is not just about feeling good... it's about maximizing your BUSINESS potential. Maintaining your optimal health means you have more energy to put into your career, and little, or no, healthcare costs, time off work for illness, plus you'll probably enjoy lower insurance premiums too. Could you increase your business success (and maybe bring home more money) by simply working on your HEALTH? In fact, if you're a high income earner, simply losing weight could be quite worthwhile. 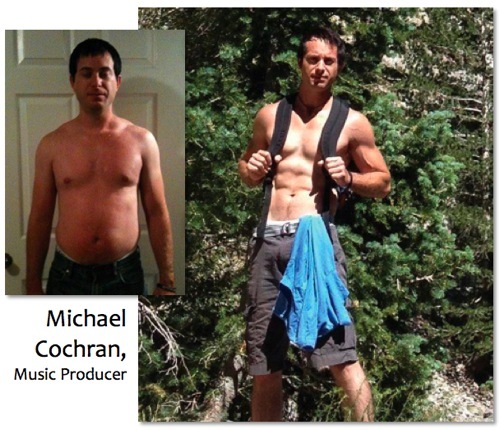 A corporate executive officer who realized he was becoming "uninsurable" because of his weight and health issues took steps to lose weight, eat better and improve his core health. Later, when he retook a physical for his life insurance he calculated that he "earned" $500 for every pound he had lost. How? His insurance costs dropped significantly. But what if you can't measure that health benefit in cold, hard cash? Well, what is your TIME worth? How much do you "earn" for every PRODUCTIVE hour you spend working? What if you had more energy and could work 30% more... or be 30% more productive spending the same amount of time working? See where we're going? Jennifer Martin is a a CPA who has lost over 100 pounds and has reaped the benefits of being in shape... both in her personal life and in her business. "Prior to getting in shape I found my energy was sapped by about 2 PM. It was hard to focus on my work sometimes and I found myself struggling with productivity in the afternoon. This is a problem when you work till 5 or 6... and an even bigger one come tax time when you might be pushing it till 9 pm," she laughed. With the Qivana systems I've been able to keep my energy level, and FOCUS, high with their all natural adaptogenic herb formula (Essentials). 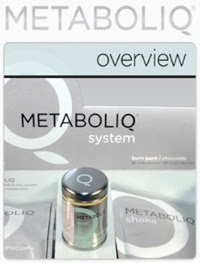 The Metaboliq system is responsible for the final part of my weight loss, as well as how easy it has been to build muscle and keep myself at my target weight going forward. 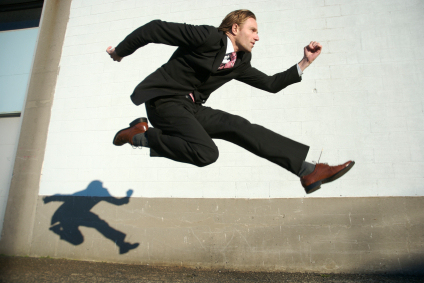 Now I not only have plenty of energy for my business, but lots left over for weekend 'Iron Man' competitions!" 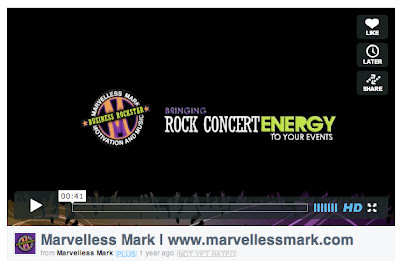 Marvelless Mark is a Vegas entertainer specializing in high energy corporate events and shows. Not only does he have to be "ON" at a peak level during his performances... he also has to manage his business... booking shows, managing support crews and staff and doing all those other things it takes to run a successful business. "People always mistake me for being much younger than I am," ..says Marvelless Mark. "They want to know how I look the way I look and have the energy and drive that I do. I tell them it's all about just being healthy and, of course, I DO have a 'secret weapon' which is the Qivana products. There is no way I could perform at the level I do without them. The Metaboliq shakes give me the protein I need before and after my work-outs and shows, and the Qore system keeps my core health and immunity so strong I don't have to worry about being laid low by some flu bug I was exposed to from my audience members." So, next time you are thinking about postponing that walk, downing that extra glass of wine, or stuffing that pie in your mouth... think about the effect it has on your job, your business and your wallet ... not just your buttocks. Then, go for a walk in the fresh air and, when you get back, go online and order a supply of Qivana products. See the difference in the way you feel and the health results you can achieve. You can buy these health systems at retail anytime... but why would you want to when you know the secret of paying wholesale? Currently, to get WHOLESALE pricing, you simply choose the option of signing up as a "Preferred Customer" and choosing at least one product for monthly auto-ship. When you do that, you will save up to 30% off the regular, retail price AND, of course, you can cancel your auto-ship anytime by email.